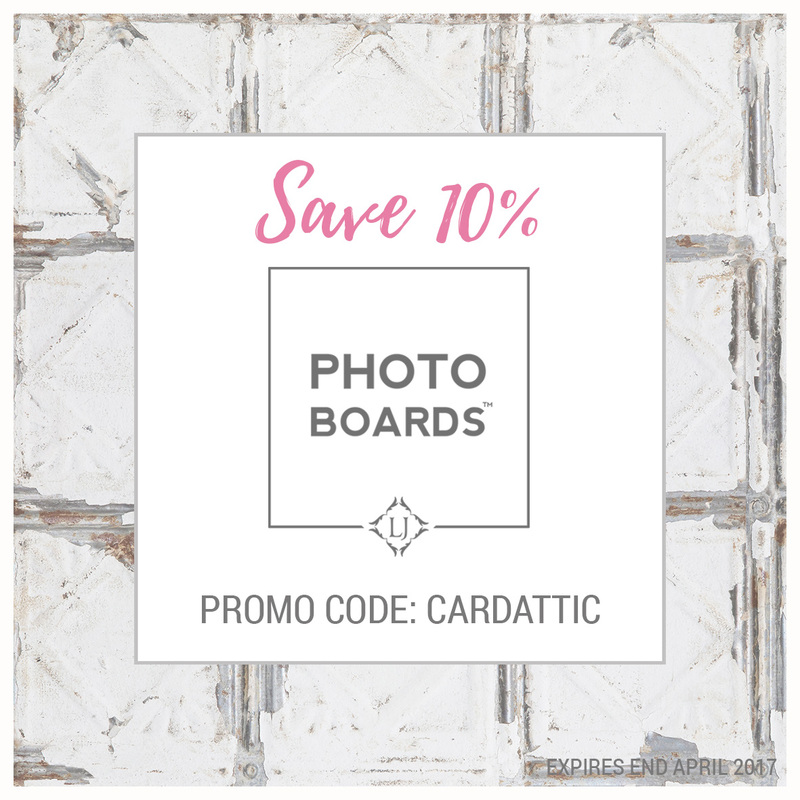 Hello crafty people! I hope you are all having a good weekend. I bought myself a new sewing machine - my old one is (ahem) forty years old now and weighs a ton, and I had got fed up with hiring a crane every time I needed to sew something that I just gave up. So, my weekend has been spent acquainting myself with my new one (I will probably keep my old now for the rare job that my new one can't cope with). Anywho, back to my card. Have you ever seen some small detail on something that has planted an idea for a card in your head? Well, that's how my card today came about. I'll explain. I looked at a card I had made for my stash some time ago that I had used a Gellyroll Stardust pen on and it shimmered beautifully. I had only used it for small details and thought that it would be pretty as the dominant focal piece. 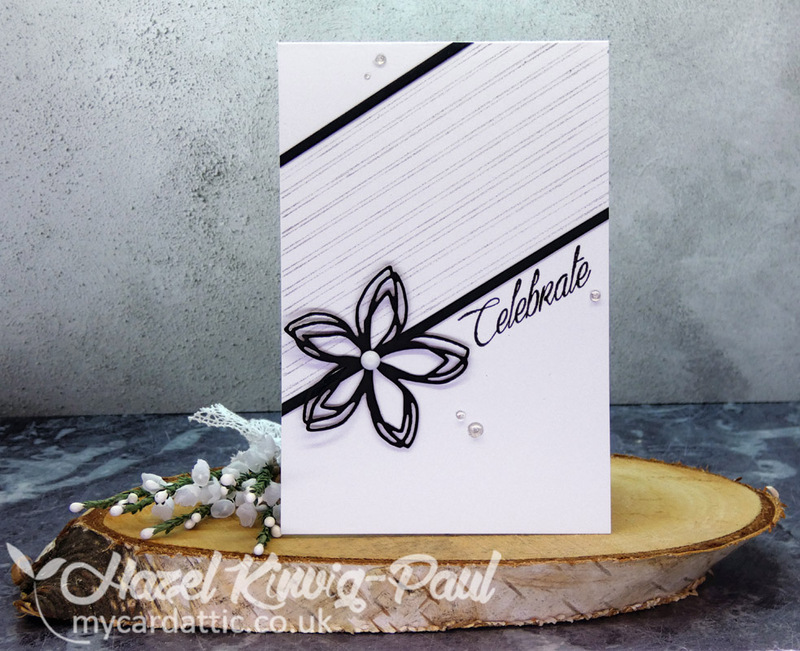 So, I drew some lines on the diagonal with it, bordered it top and bottom with two small strips of black card-stock, added a die-cut flower, a sentiment and a white gem in the centre of the flower. Finally, the finishing touches were some scribbled circles with the Stardust pen and some clear Nuvo drops over the scribbles to give the spots some dimension. I hope you have a great Sunday and a fabulous week! So classy in b & w! Oh my, what a brilliant idea! 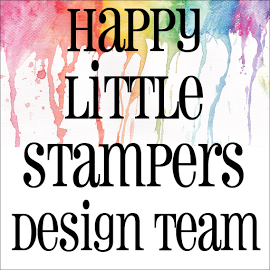 From the sparkly stripes to the sparkly scribbles under the Nuovo drops! This card looks really elegant! Haven't used my Gellyroll Stardust pen in a long time - thanks for the inspiration! Your card looks absolutely fabulous Hazel, I love it. Good luck with the new sewing machine. amazing design, I love CAS. 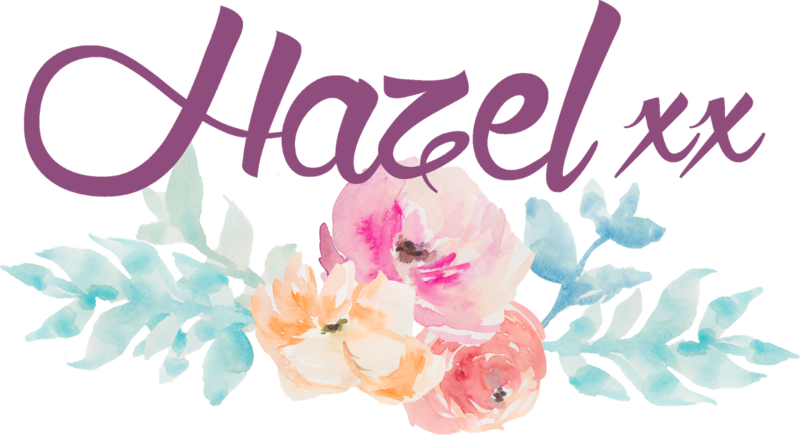 Those glimmery lines are so pretty, Hazel! 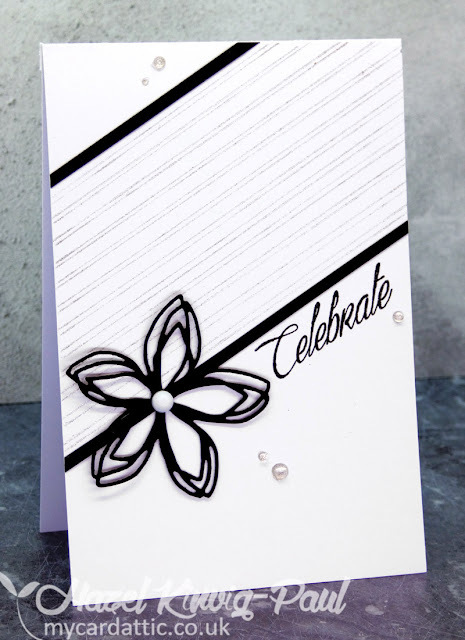 The sparkle and black make a really classy card! 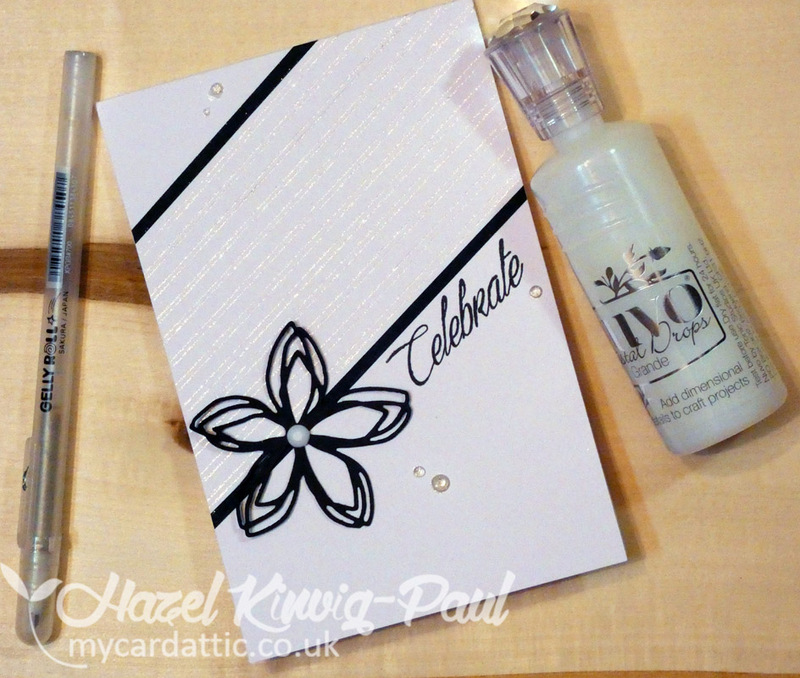 Stunning card Hazel, those glitzy lines add a lovely bit of dimension and sparkle. What a stylish design Haze and such a creative one too! Have fun with your new sewing machine. 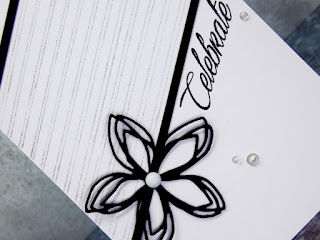 Yes, the gelly roll pen makes a great big impact on this card. Very cool idea! I love the bit of nuvo drop too. 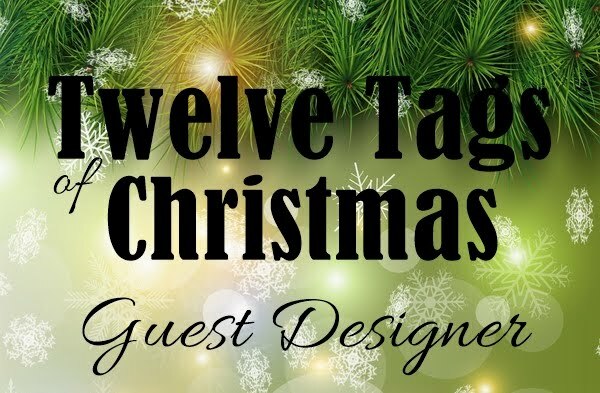 Thanks for sharing and for all your kind comment ons my blog! Have a good day! Such a beautiful and elegant card. 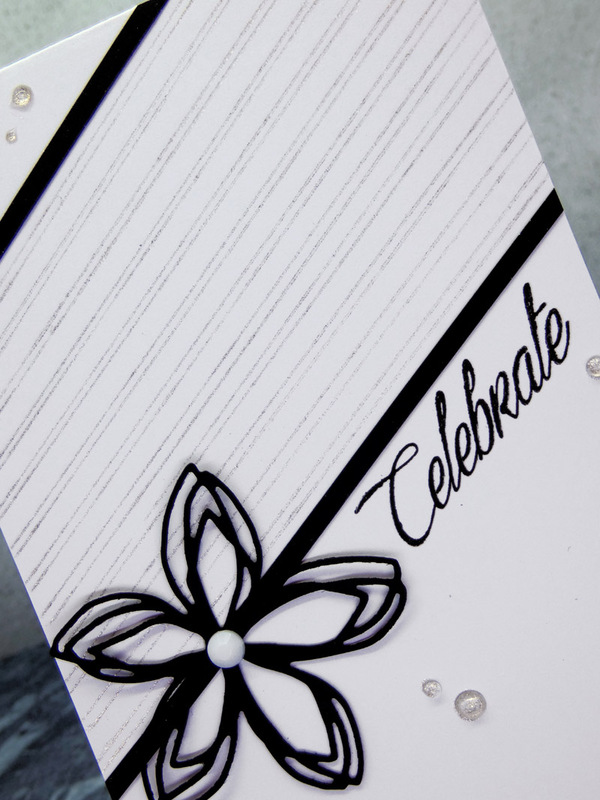 Black and white are the perfect combination, adding a bit of glow that makes the card eye-catching. Miraculous inspiration, Hazel!